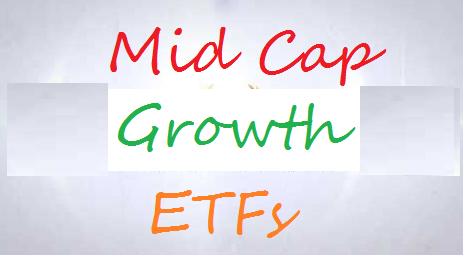 Vanguard Mid-Cap Growth ETF is one of the lowest cost mid cap growth ETFs in this list. With expense fee of 0.09%, it has $2.68 billion of assets. The current dividend yield is 0.55%. Morningstar has ranked this top stocks mutual fund with 4 stars rating. This mid cap growth ETF has returned 22.94% over the past 3 year and 18.00% over the past 5 year. Top 5 equities are Vertex Pharmaceuticals Inc, Health Care REIT, Inc., Avago Technologies Ltd, Moody's Corporation, and AvalonBay Communities Inc. Top 3 sectors are consumer cyclical, technology, and industrials. PowerShares DWA Momentum ETF utilizes its assets to purchase in stocks that comprise the Index, Dorsey Wright Technical Leaders Index. This index consists of 100 stocks from US companies from a broad mid- and large-capitalization universe. The current dividend yield is 0.22%. The total assets are $1.59 billion. Its expense fee is 0.65% per year. Morningstar ranks this best mid cap growth fund with 5 star rating. This equity fund has 3 year annualized return of 23.08%. In 2014, the year-to-date return is 14.04%. Top 2 sectors are consumer cyclical, and industrials. Top 3 stocks are Apple Inc, Jazz Pharmaceuticals Plc, and O’Reilly Automotive Inc.
Ranked with 4 stars rating, iShares Russell Mid-Cap Growth ETF has assets of $5.62 billion. The expense ratio fee is 0.25%. The 52 week price range of this ETF is $80.04-$94.15. This index ETF utilizes its assets to buy mid-capitalization U.S. equities that exhibit growth characteristics. This top mid cap growth ETF has year-to-date return of 12.13% in 2014. Top 3 stocks are Kroger Co, Crown Castle International Corp, and Vertex Pharmaceuticals Inc. Top 2 sectors are consumer cyclical, industrials, and technology.